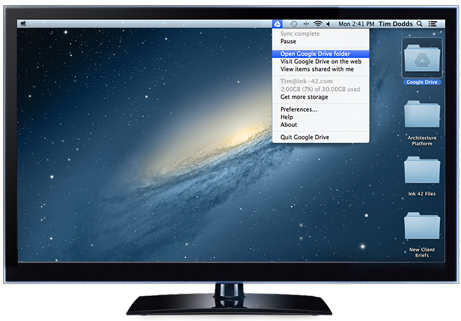 Store, sync, and share your files with ease. 30GB of storage per user shared across Drive and Gmail means plenty of room for your data. If that’s not enough, you can buy an unlimited storage plan for $10 per user per month. Accounts with fewer than 5 users get 1TB per user. 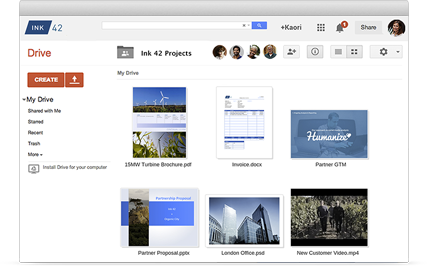 You can upload any type of file to Google Drive and convert certain types of files to a web-based Google document format: Docs, Sheets or Slides. Each user gets 30GB of storage shared across Gmail and Google Drive for $5/user/month or unlimited storage for $10/user/month (accounts with fewer than 5 users get 1TB/user). The paid version of Drive gives you access to additional storage (twice the storage of personal Gmail), sharing controls, and advanced reporting. For an additional $5 per user per month, you can upgrade to unlimited storage (accounts with fewer than 5 users get 1TB/user).